You need to know the facts in order to make an informed business decision. We're compiling some of the best information to help you understand what makes Drupal the best CMS! Drupal 8 was officially release on Thursday, November 19th. It promises to be the best Drupal Core update yet! 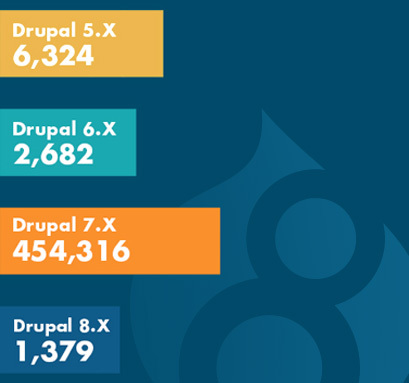 However, there are still thousands of websites on Drupal 6.